The Superfund Redevelopment Initiative works with communities to provide site-specific support to help them reclaim thousands of acres of formerly contaminated land. This allows vacant land to be cleaned up and reused for other purposes such as parks, business districts, renewable energy facilities, neighborhoods, wildlife habitats, and farms. In turn, it provides job opportunities, strengthening the community’s economy. The local Superfund site is Hagerstown’s Central Chemical Superfund Redevelopment Initiative Pilot Project. 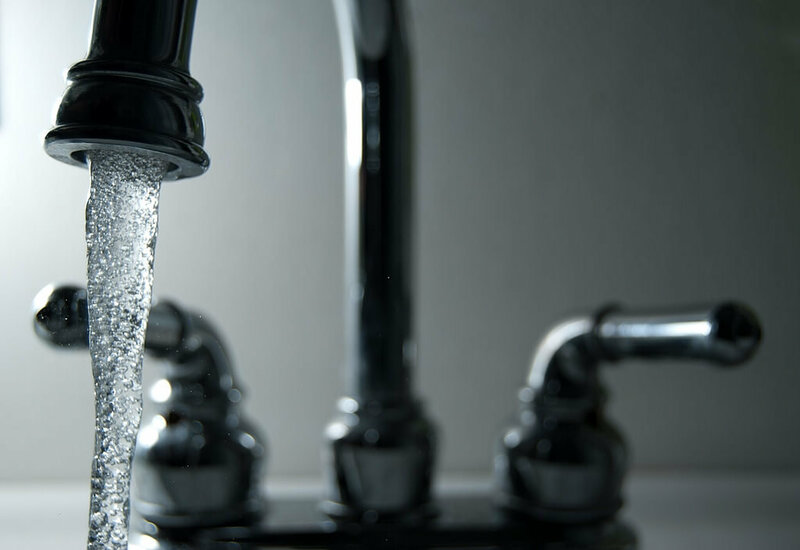 However, lead has become a common environmental contaminant at Superfund sites across the country because it is a naturally occurring element. The Environmental Protection Agency (EPA) conducts site-by-site lead risk assessments to determine potential health risks for workers and the surrounding community. Superfund’s risk managers use the risk assessment information to select the best cleanup strategies. Superfund sites use a risk assessment paradigm. 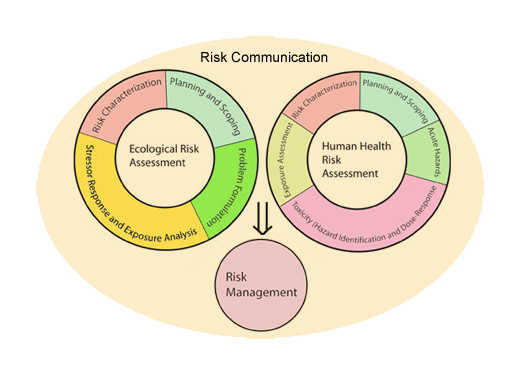 This diagram (below) represents the components of ecological and human health risk assessments. 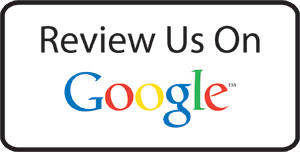 Find out about local Superfund sites near you. Click Here. The Safe Drinking Water Act requires EPA to determine the level of contaminants in drinking water at which no adverse health effects are likely to occur. These are called maximum contaminant level goals (MCLGs). The maximum contaminant level goal for lead in drinking water is zero because lead is a toxic metal that can be harmful to human health even at low exposure levels. Young children are particularly at risk to lead because a dose of lead that would have little effect on an adult can have a significant effect on a child. 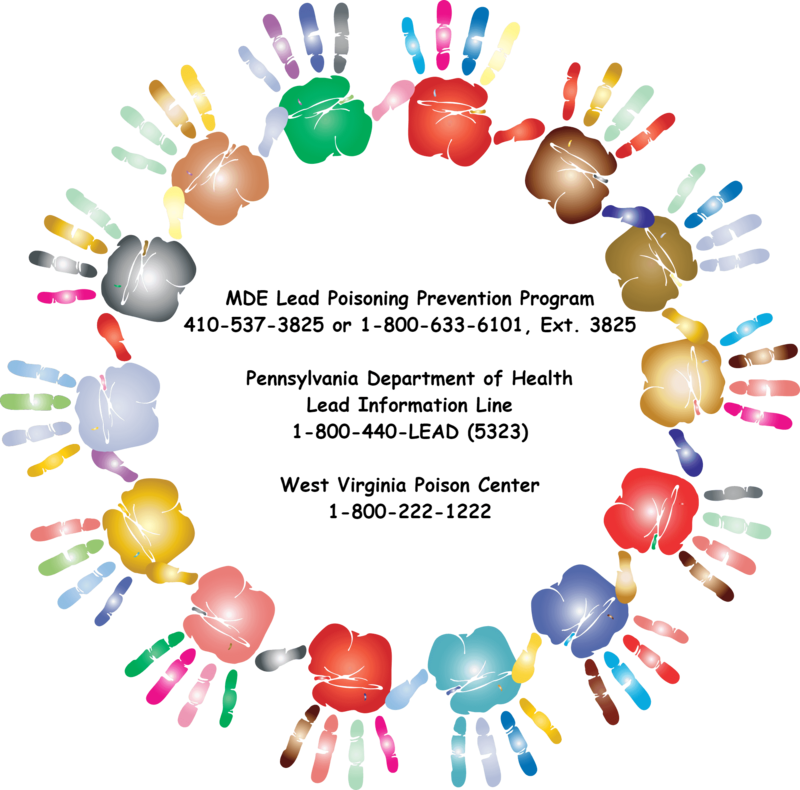 In children, low levels of exposure have been linked to damage to the nervous system, learning disabilities, and impaired formation and function of blood cells. Ingestion of lead can cause seizures, coma and even death. Cardiovascular effects, increased blood pressure and incidence of hypertension. Flush your pipes: Flush your tap for 30 seconds to 2 minutes before using water for drinking or cooking. Only use cold water for eating and drinking: Hot water can contain higher levels of lead. Note that boiling water will NOT get rid of lead contamination. Use water filters or treatment devices: Many water filters and water treatment devices are certified by independent organizations for effective lead reduction. Devices that are not designed to remove lead will not work. Verify the claims of manufacturers by checking with independent certifying organizations that provide lists of treatment devices they have certified. A question on your mind after reading through this may be: Can I shower in lead-contaminated water?? Yes, you can. Bathing should be safe for you and your children, even if the water contains lead over EPA’s action level because human skin does not absorb the lead in water. The tri-state area is home to historical sites left and right. But that means there were some very old construction techniques. Structures built before 1986 are more likely to contain lead pipes, fixtures and solder. The Safe Drinking Water Act (SDWA) is a federal, legally enforceable law that sets national standards for tap water. States and water suppliers must test their water sources to see where they could be vulnerable to contamination. While the SDWA applies every public water system in the United States, the Environmental Protection Agency (EPA) estimates that approximately 98,000 public schools and 500,000 child care facilities are not regulated under the SDWA. These unregulated schools and child care facilities may or may not be conducting drinking water quality testing because it is voluntary. Only schools regulated by the SDWA are required to test and therefore comply with the SDWA. 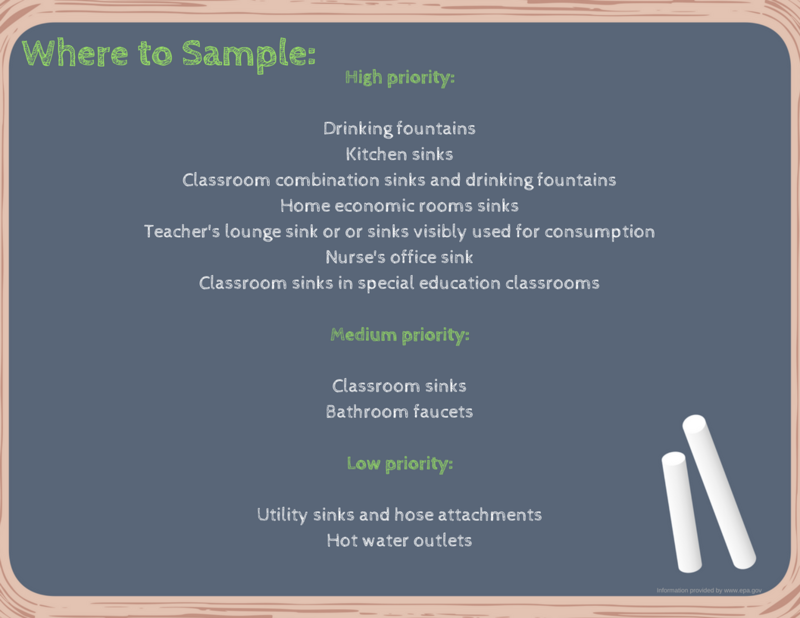 Lead Decision Tree– To help you decide if you need to test the drinking water in your school or childcare facility, take this short assessment by the EPA. 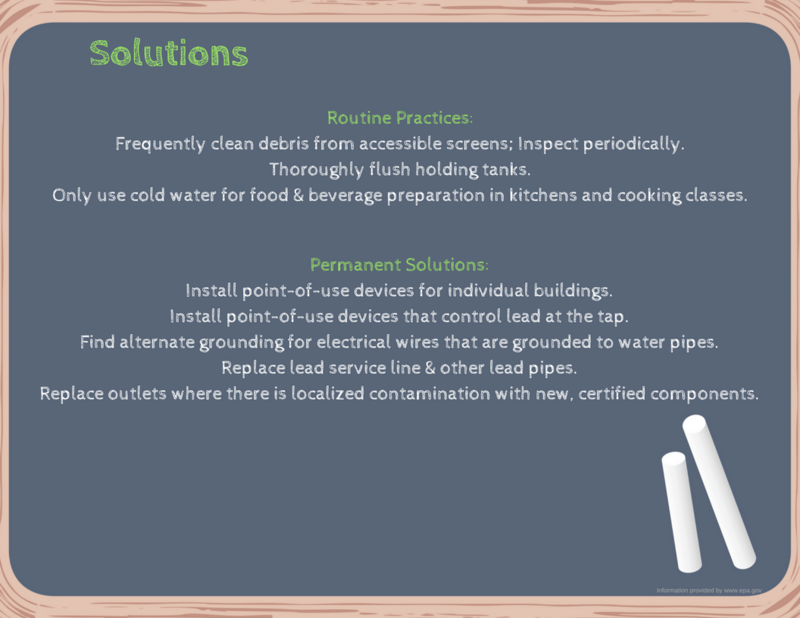 EPA’s 3Ts for Reducing Lead in Drinking Water in Schools was developed for school officials to assist them with lead in drinking water prevention programs. 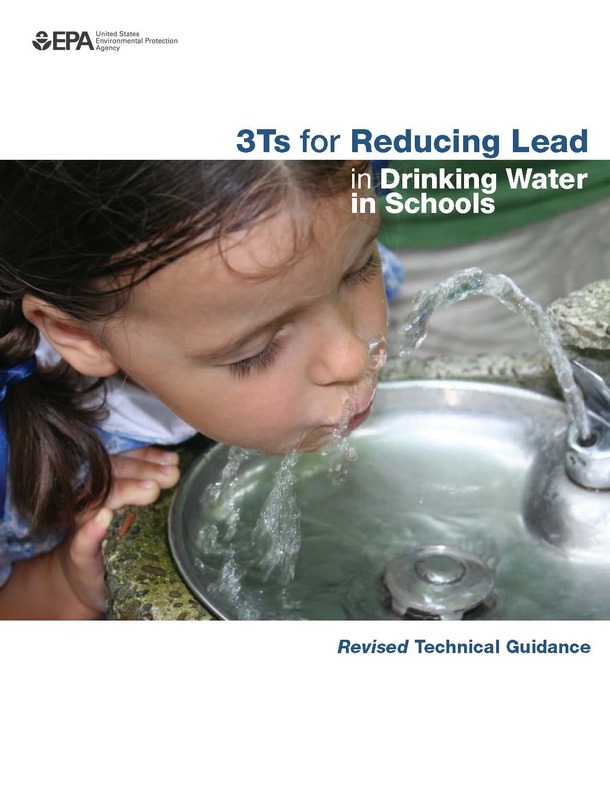 Click Here to Download the 3Ts for Reducing Lead in Drinking Water in Schools. Should you test YOUR drinking water? A sick American Bald Eagle was found in a field in North Carolina. The ground was wet and muddy and it was obvious the bird was not doing well. It was discovered that the raptor had lead poisoning. Lou Browning, the wildlife rehabilitation specialist who received the bird, suspected the lead poisoning came from eating prey or animal remains tainted with lead. The bird was treated using chelation therapy- a chemical process in which a synthetic solution is injected into the bloodstream to remove heavy metals and/or minerals from the body. X-Rays revealed the eagle had 13 to 14 lead fragments in its stomach and intestinal tract. The fragments in its intestines were naturally passed. However, the fragments in its stomach had to be physically removed. A common procedure for raptors to achieve this is to feed it a squirrel skin because the bird cannot digest it. The lead fragments get embedded into the squirrel skin, and the bird then regurgitates it, lead and all. According to Browning, there are three ways birds of prey accidentally ingest lead. One: A bird eats waterfowl that has consumed lead. While it’s been illegal in the United States for hunters to shoot waterfowl using lead shots since 1991, lead remains at the bottom of ponds for years. Waterfowl will unknowingly eat the lead pellets while feeding. The eagle then eats the waterfowl and the lead is absorbed into the eagle. Two: A bird eats the remains of animals that had lead in their body. When a bullet strikes an animal, it fragments and small lead pieces are scattered around the area. If the carcass is left behind, an eagle runs the risk of ingesting the lead within the carcass and the surrounding lead. A Hunting Tip: To help prevent this ingestion, bury the animal remains. Three: A bird eats a fish that has swallowed lead. A fish can swallow lead items such as a fisherman’s sinker. Thanks to Browning and the other specialists, the bird is now doing much better, and its blood-lead levels have decreased. Federal law requires owners, landlords, agents, and managers of rental properties to provide certain information about lead paint to a prospective renter. An EPA-approved information pamphlet on identifying and controlling lead-based paint hazards. For multi-unit buildings, this requirement includes records and reports concerning common areas and other units when such information was obtained because of a building-wide evaluation. A lead disclosure attachment to the lease, or language inserted in the lease, that includes a “Lead Warning Statement” and confirms that you have complied with all notification requirements. Here is a Sample Lessor’s Disclosure of Information in English by the EPA. If you or someone on your staff is performing the work your firm must be Lead-Safe Certified and your staff trained in lead-safe work practices. The firm performing the work must be Lead-Safe certified. Avoiding renovation methods that generate large amounts of lead-contaminated dust. Not following this law could mean tens of thousands of dollars in fines or a lawsuit. For Lead paint testing or removal, call Baxter Group, Inc. at 717-263-7341 or visit the Lead Department. Facilities managers should regularly inspect for lead hazards. Although a home may be free of lead-based paint hazards, a child could still be exposed elsewhere. Interior and exterior painted areas – Examine walls and surfaces to see if the paint is cracking, chipping, or peeling, and check areas on doors or windows where painted surfaces may rub together. The paint can flake off and contaminate nearby soil where children play. Surrounding areas – Be sure there are no large structures nearby with peeling or flaking paint. 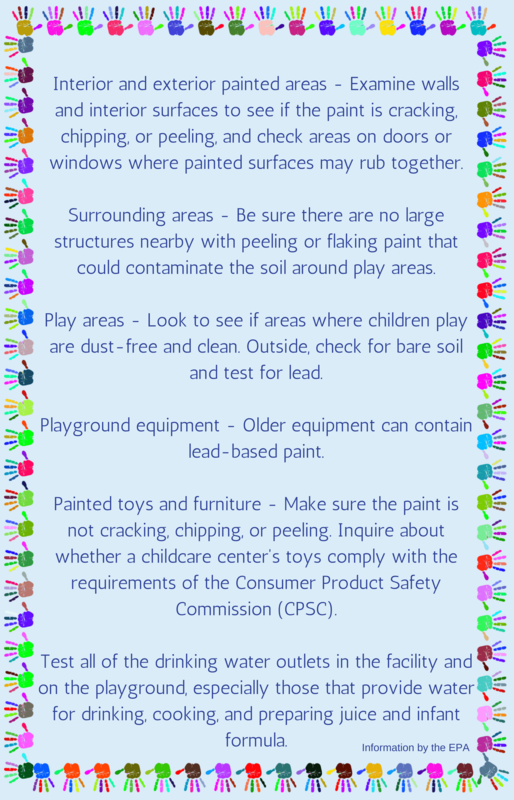 Playground equipment, toys and furniture – Older equipment can contain lead-based paint. Cleaning practices – The staff should wash any pacifiers, toys, or bottles that fall on the floor.